Sjöfartshuset is boldly placed on Skeppsbron with a spectacular view over Strömmen. 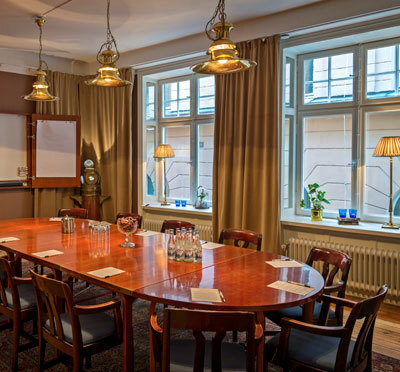 Here, we can accommodate 2 - 100 delegates in a distinguished 17th century building. Our own kitchen serves well-prepared food based on fresh products of the season. Have you been to Sjöfartshuset Fest & Konferens and want to give your own comments?